If you have been out for a stroll in your neighbourbood lately, you will have probably noticed a lot more red and white in everyone's gardens. That is because a special tulip has been made to celebrate Canada's sesquicentennial anniversary. The Canada 150 tulip, also known as the Maple Leaf tulip was unveiled May 9, 2016, in Commissioners Park the home of Ottawa's Tulip Festival (which will be home to over 200,000 Maple Leaf Tulips). The tulip was bred with an elegant white flower and a flower with a deep red, which resembles our flag. 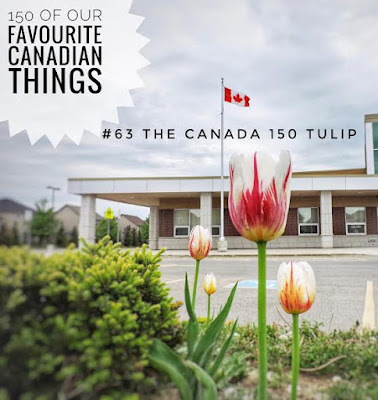 In September 2016, tulip bulbs went on sale at Home Hardware stores across Canada and people started planting making way for their patriotic spring gardens. Great work everyone!